Home / Uncategorized / What’s the problem with sharing knowlegde? Did you know that Wikipedia had several predecessors? According to this article, there were plenty, but one of the main reasons they didn’t become as well known was because they didn’t explicitly relate themselves to a product that people already knew and understood – the encyclopaedia. They forgot that “content is king”, and tried to create entirely new products based on new technologies, without relating clearly to the underlying problem to solve – how to share knowledge. I’ve recently been discussing the topic of “knowledge sharing” with colleagues from Indonesia. Wikipedia is probably the best known mechanism for knowledge sharing around the world. But, in development circles, knowledge sharing refers to a particular way that many emerging economies – from China to Colombia –support other developing countries. In the UK we call this type of support “technical assistance” or “capacity building”. Basically, it’s when a government official or consultant from one country shares information with another government official about successful projects, policy or legislation. It can take place as a visit, a conference, a series of meetings, or even a secondment from a week to months. An example recently launched in the UK is “IFUSE”. Emerging economies tend to focus the knowledge they share around their own experience of development, and in this sense, knowledge sharing is, alongside loans for infrastructure and other activities, a major component of what is known as “south-south” cooperation. 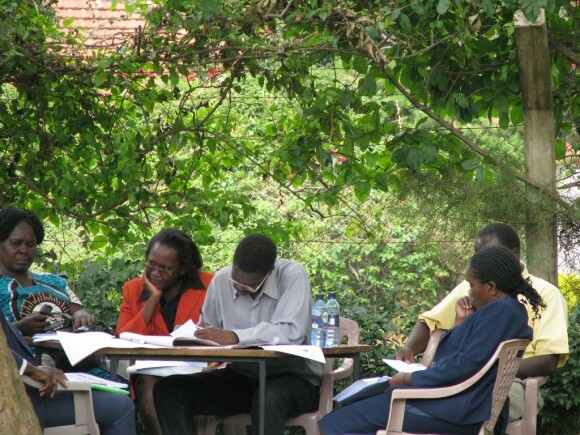 Institutions like the World Bank also offer technical assistance alongside their loans. I’ve been discussing this topic because at the most recent meeting of the Steering Committee for the Global Partnership, Indonesia’s Minister of Planning made a case for trying to scale up knowledge sharing and make it an even more effective way of delivering development. Many problems have been identified with technical assistance in the past. But, as this paper illustrates, it’s hard to find real practical solutions to address the problems. Added to this, the view is often expressed, though not necessarily substantiated, that south-south forms of technical assistance can probably overcome the problems. So I’ve been wondering whether the Wikipedia experience regarding its potential competitors can help. Wikipedia’s founders probably felt that there wasn’t enough knowledge sharing going on. Encyclopaedias had limited distribution and were often expensive. In addition, the barriers to entry were high. There weren’t many people contributing to the few well-known editions of encyclopaedias around. So, the founders did two things. First, they created a free product that was open to anyone who had the internet. Second, and more importantly, they reversed the role of “gatekeepers”. In the traditional print profession, there are usually editors who make sure only the best pieces get published. Wikipedia reversed this completely. It let everything get published but behind the scenes introduced a handful of voluntary experts who unofficially made sure the important pieces were correct. By reversing the usual dynamic of “gatekeepers” and making barriers to entry as low as possible, Wikipedia drew on the largest possible knowledge base while maintaining an incredibly high standard. How might this apply to knowledge sharing in development circles? Well, if scarcity of knowledge sharing is similarly a problem (though I’m not entirely sure it is), the Wikipedia experience suggests that scaling it up will not be as simple as devoting more money to it. This is because – as with general knowledge – “content is king”. The content of south-south forms of cooperation is experience. Hence, I’m not sure devoting more money would help. But making sure the barriers are as low as possible for people with experience to share their knowledge might help. So the question is how to make existing knowledge based on experience have a wider reach and last into the future. In this case, creating a Wikipedia-like tool for development work or some sort of tool to do more e-learning might be useful. ODI and SAIIA have, in the past, suggested that the G20 should explore something like this. Indeed, some tools already exist. The World Bank recently launched an Open Knowledge Repository to consolidate thousands of its books, reports and research, allowing the public to distribute, reuse and build on its work. It hosts discussion forums on topics such as jobs. UNDP similarly facilitates 23 global Communities of Practice networks for development exports to support, learn and benefit from different experiences in different locations and environments. These tools may well need more awareness and support to scale them up, or they may need more of a radical re-think, like Wikipedia’s competitors did. Wikipedia flourished because it filled a clear gap and related itself to everyday products and problems. If we’re going to fulfil Indonesia’s aspiration to make knowledge sharing in development really successful, a first step might be to learn from Wikipedia’s experience.